REXUS, Rocket Experiments for University Students, is a sounding rocket. 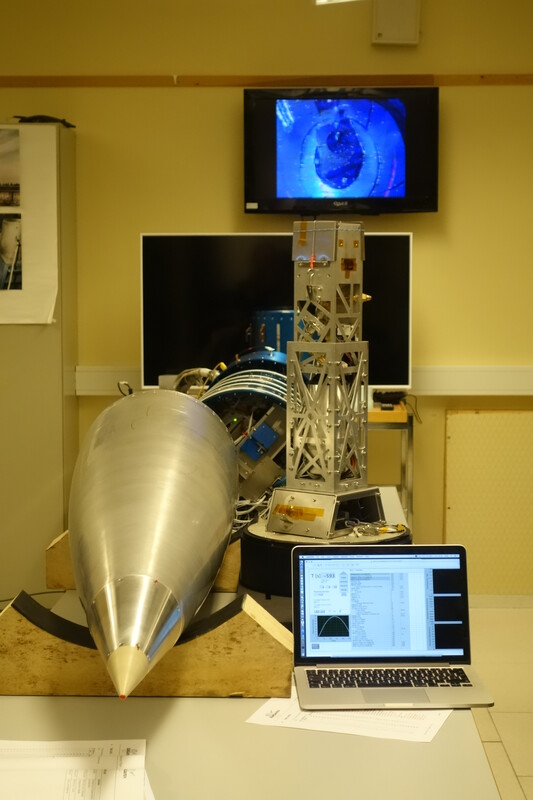 In 1995, SSC Esrange invited students from the Swedish Institute of Space Physics in Kiruna to fly experiments in the sounding rocket GPS-Orion-Rocket which they renamed REXUS. Four more REXUS rockets were launched between 1995 and 2007 when an agreement was signed between DLR and SNSB (now SNSA) marking the beginning of the REXUS/BEXUS programme. Today the programme allows students from Universities and higher education colleges across Europe to carry out scientific and technological experiments (REXUS Projects). 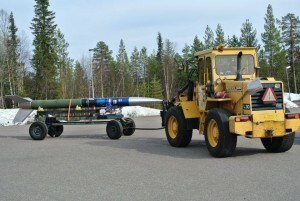 Each year, two REXUS are launched from SSC, Esrange Space Center in northern Sweden. REXUS provides an experimental near-space platform for students who can work on different research areas including atmospheric research, fluid physics, magnetic field, materials science, radiations physics, astrophysics, biology and also on technology demonstrators. REXUS is a single-stage rocket propelled by an Improved Orion motor. With a length of 5.6m and a diameter of 0.356m, the rocket can typically hosts a payload mass of up to 95kg (including the service and the recovery modules). This rocket gives approximately 3 minutes of spaceflight and can reach altitudes of between 78 and 93 km. REXUS is flexible, the rocket could be despun and the nosecone ejected during the flight. Moreover all experiments are recovered after the flight. Click on diagram for bigger view.